According to Dyeun Zapanta, Sales and Marketing Head of Beko Philippines, today’s modern kitchen is all about the efficiency, sleek design, and functionality of your appliances. As most of us spend some time and effort preparing meals for the family, it is important to find the right cooker that can address your very specific needs. 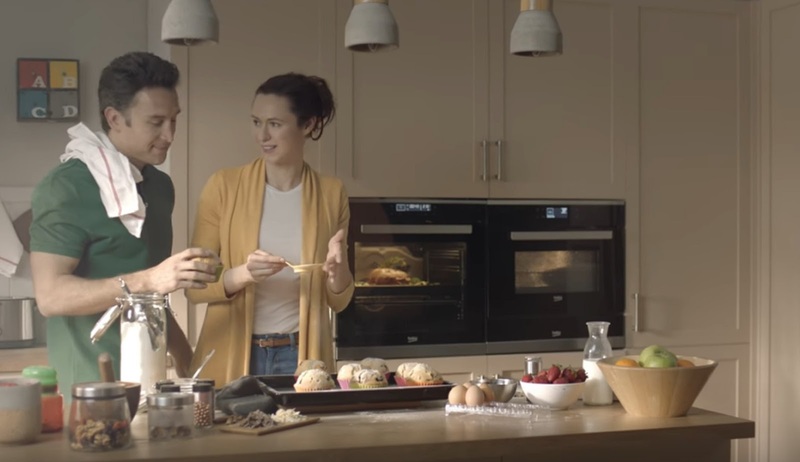 To help you find the right choice, Beko, one of the Europe’s largest and most popular appliance brands, listed some of key things to consider when buying a new oven. If you are re-designing your kitchen or thinking of upgrading your built-in cooker, the size and capacity should be the first things you should consider. This factor is important since there are different kinds of oven sizes to choose from. For instance, if you need an oven to carry out most of your everyday cooking, the built-in Single Ovens are the ideal cooker for you. With their 60cm height, you can place them anywhere in your kitchen. This oven is also perfect for families who don’t have enough kitchen space for double ovens but still want to get the benefits of capacity cookers. Beko’s range of single ovens come in 65L to extra-large 82L capacities. However, not all kitchens are spacious so if yours isn’t, Beko’s Compact Ovens can be the ideal option. With its 45cm height, you can place it in between your cabinet columns without taking much of the space. This cooker is just the right size and has a 40L capacity. If you happen to have a large kitchen, Beko’s Double Ovens are the best choice especially if you like preparing multiple dishes at once. These ovens can be built-in to your kitchen’s cabinet columns. It comes in a 72cm and 90cm height model and its double oven capacities are also great for multiple cooking with its 48L and 65L capacity, respectively. After deciding on the size and capacity, it’s time to think about which type of oven you need. There are three types of ovens to choose from namely, conventional, fan, and multi-functional ovens. Conventional ovens are ideal for traditional home cooks. This type of oven allows for a conventional-style of cooking since the heat comes from the top and bottom heating elements and does not have a fan to circulate the heat. Fan ovens, on the other hand, are best for baking or if you often cook dishes that require even temperature. With fan ovens, the heat is distributed evenly throughout the entire cooking compartment using either single or multiple fans. And if you’re a home cook who enjoys experimenting with different cooking methods, the Multi-function oven is right for you. It can be used for grilling, defrosting, or baking and with more functions, you can cook any dish you like. Another feature you should consider is the self-cleaning feature. While you may enjoy cooking, let’s face it, cleaning the oven after using it can be a hassle. Beko integrated self-cleaning features in its line-up of cookers to help cut your cleaning time. Its Pyrolytic Self Cleaning and SimplySteam Cleaning features clean away unwanted dirt, germs and food debris quickly and thoroughly so you spend more time with your family and less time cleaning up. The 120-minute Pyrolytic Self-cleaning cycle function helps burn stubborn stains into a fine ash by safely heating your oven to 500 °C. The ash can then be simply wiped away with a piece of cloth, without the need of any detergents or chemicals. For ovens that are not too dirty ovens, you can use the shorter 90-minute eco-pyrolytic cycle. The 90-minute cycle saves 25 percent of energy consumption. Some Beko ovens also have the SimplySteam Cleaning technology that cleans using steam. After using, simply remove the accessories, pour some water into the tray and place it at the bottom level of the cooker. Then, set the operation knob to start the steam cleaning process. Once the cycle is done, you can now wipe away all the dirt inside using a clean cloth. The last factor that you should consider when buying an oven is the range of extra features that come with it. Beko’s line-up of ovens offer a handful of modern and practical features, such as the Split&Cook feature that allows you to split the oven into two separate cooking zones so you can have two different temperatures without mixing the scents and flavors of your dishes; the Multi-Dimensional Cooking feature that cooks evenly and efficiently through the use of multiple dishes that traps its own supply of hot air enabling you to cook homogeneously and with maximum efficiency; and Safety features such as Gas Safety and Flame Failure that automatically cut off the gas flow when the fire is accidentally extinguished by the wind or any liquid, thereby, preventing gas leakage. Strengthening its local presence in the country, Beko Philippines continues to penetrate the Filipino market. Since 2015, the company already doubled its distribution, as well as tripled its sales through an enhanced and domineering product line that continuously meets the demands of the consumers.